Did you know that October is Women’s History Month in Canada? It’s a time to celebrate the achievements and contributions of women and girls across the country, past and present. This year’s theme, offered up by Status of Women Canada, is #MakeAnImpact, in honour of the women who’ve made a lasting impact as pioneers in their field. The federal department launched an online gallery that celebrates the achievements of some of these Canadian women, from painter Emily Carr to astronaut Roberta Bondar. Only a few immigrant women are among the women listed however, including Adrienne Clarkson and the late Wafa Dabbagh. But, how could one list really encompass all the amazing Canadian women, born here or otherwise? Senator Ratna Omidvar is definitely a trailblazer in the area of diversity and immigration, as the president of the Maytree Foundation and founding executive director of the think-thank Global Diversity Exchange (GDX), at Ryerson University in Toronto. She was named Nation Builder of the Decade for Citizenship in 2010 and, in 2016, was appointed a senator. She has been a passionate voice on a broad range of issues ever since, including the new Cannabis Act. Read more about Ratna Omidvar’s contributions to Canada here. Chinese-born Chan Hon Goh was a defining prima ballerina for Toronto-based National Ballet of Canada, known for not only her outstanding technique, but her lyrical depth as a dancer. After 20 years, she retired from the stage to take on perhaps her biggest role yet — director of Goh Ballet, the academy and youth company started by her parents in Vancouver. The Goh Ballet Academy and youth performance company have grown by leaps and bounds under Chan’s leadership. including its own critically acclaimed version of The Nutcracker, which she produces every Christmas season. Read more about Chan Hon Goh’s story here. 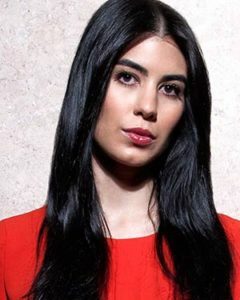 One of Canada’s tech giants is Iranian-born Shahrzad Rafati. She is founder and CEO of BroadbandTV (BBTV), the world’s largest multi-channel network for online video creators. BBTV generates 28.7 billion monthly impressions across its owned and operated library and brands, as well as its network of tens of thousands content creators. It’s all a long way from her childhood in Tehran, Iran, where she didn’t even own a computer or have an email account! After graduating from UBC in computer science, she founded BBTV right out of school, and has established herself as a technology thought leader ever since. Read more about Shahrzad Rafati’s tech success here. Mina Mawani has become known as a leader you want in charge when your organization is undergoing change. 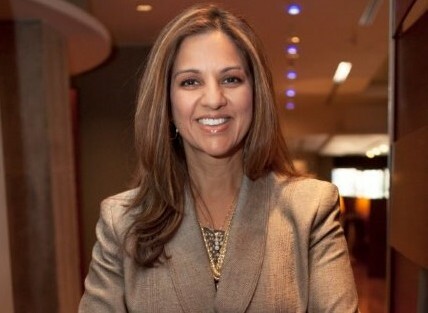 Her current position is as president and CEO of Crohn’s and Colitis Canada in Toronto. 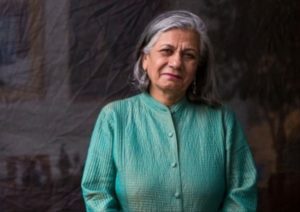 Before that, she was president and CEO of the Canadian Women’s Foundation, chief development officer and executive committee member at Civic Action, and CEO of the Aga Khan Council for Canada. Now, leading Crohn’s and Colitis Canada, Ugandan-born Mawani is deeply engaged in finding cures and improving the lives for the nearly 250,000 Canadians affected by these chronic diseases. Read more on how Mina Mawani’s immigration journey has impacted her leadership style.